After finishing his studies at the University of York and the Royal Academy of Music Bruce Nockles began his career playing trumpet with the Fires of London and quickly established himself as an expert in the field of contemporary music, going on to work with many of the leading ensembles in Britain and Europe. These have included the Endymion, London Sinfonietta, the Birmingham Contemporary Music Group, Ensemble Intercontemporain, Klangforum Wien and many others. He has been for many years particularly closely associated with Ensemble Modern of Frankfurt and was also principal trumpet of the Chamber Orchestra of Europe. 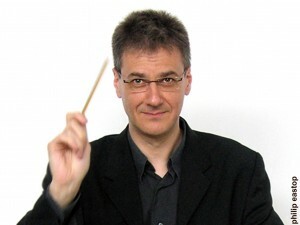 He has appeared as soloist with many of the above groups as well as with the City of Birmingham Symphony Orchestra and the BBC Symphony Orchestra. He is also active as a composer and increasingly as a conductor.